As for my life outside of this blog, there have been many changes, mostly good. 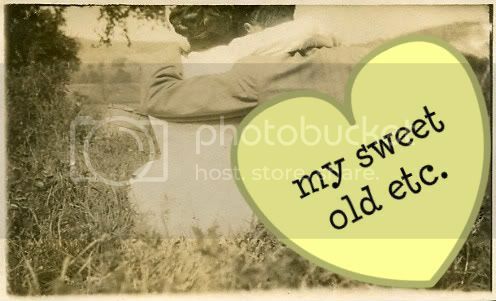 The last time I was regularly updating this blog was in late 2011, at which time I was going through a difficult breakup with my long-term boyfriend. Out of that difficult time came some very positive growth, mainly my conquering my lifelong fear of driving and even buying my very first own car (exhibit A!). Another step in a positive direction during that time involved me dating again. Out of that experience, which began in late October 2011, I had maybe a handful of interesting dates, some of which led to friendships, and two of which actually led to relationships. The first of these was a huge no-go, though it taught me a lot about myself and what I wanted out of a relationship in the first place. That lasted a few painful months until I finally got the nerve to call it quits. And then there were some more hit or miss dates in January of last year, but nothing really worth mentioning. Not until February. That was when I met Andres, my current boyfriend of 11 months. This isn't a surprise to any of you if you've been following me on Instagram and Facebook. I don't know why I haven't blogged about it before. Superstition? Laziness? Perhaps a combination of the two. But I'm posting about it now because I felt the urge to resurrect my blog. And in order to wipe away the cobwebs, I felt it was necessary to mention the new changes. So just who is this Andres, whom I call Andy? He's an artist who works with pencil, paint, and camera (and probably other mediums I'm not mentioning, but those are his main three). He's also a jokester who sends jokes out on a daily basis. We share a lot of musical interests in common -- we were even at the same concerts before we met, which I think is crazy. What if we were in the same row?! Madness. When we met, it turned out we both had tickets to see Radiohead a few weeks later, and we somehow managed to sit together. He makes me laugh, and yes, he even makes me groan sometimes, but throughout it all, he makes me happy. In the eleven months we've been together, we've meshed our lives together in lots of different ways, namely our families, our friends, our schedules. And while it hasn't been entirely smooth sailing (what relationship is? ), every day that I learn more about him is another day that I learn to love him more. I can't wait to see what year two brings. If you'd like to learn more about Andy, plus see his work, you can visit his blog. Andy and me in New York, Spring 2012. In 2012, I also went on a trip in the summer to Washington, D.C. with my friend Sibel, which was an amazing time. 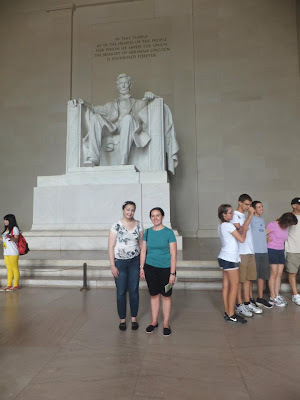 I learned so much about our nation's capital and about one of my favorite presidents from history, Lincoln. D.C. is also a a great city for food and nightlife -- I can't wait to go back. As far as other areas of my life are concerned, work is going well. I'm still teaching at the same high school, Hialeah Senior High. Now I teach 9th and 10th grade Language Arts and I honestly love all of my students this year. There are no troublemakers, no kids that give me grief. It's been a good year, so far, and I hope it continues that way. My friends are all doing well -- many of them have gotten married or become first-time parents. I've been cheering for them all the way, while eagerly looking forward to those milestones in my future. my mom's originally from San Francisco and it's the city where my parents met and were married, so a HUGE part of my heart is there! those are my main reasons for supporting the 49ers and the Giants - but the city itself is absolutely gorgeous too, and i'd love to live there for at least a couple years. Poem: "A flock of birds lifts up"